Ask any AASP-MN member what the greatest benefit of membership is and they’ll tell you exchanging information and learning from their industry peers. “My shop has been a member of the Alliance for a long time. I recently purchased the company and have used members as a resource many times. I’ve been able to visit other shops to see how their work flow is set up, I’ve made phone calls to members to discuss various issues and I’ve been able to help out other members who have called me as well. As a new business owner I have found the Alliance to be a great resource.” – Tony Newman, Dale Feste Automotive, Hopkins. The power of the Alliance is the nearly 800 independently-owned collision repair, automotive service, and industry supplier businesses that comprise our membership. Whatever the question, whatever the issue, chances are one of our members has been there, done that. Our comprehensive database provides opportunities for you to tap into the knowledge and resources of fellow members. You can search to find other shops that use the same management system, possess equipment that you need or are considering for purchase, or simply connect with others that do the same thing you do everyday. Some of the best ways for members to connect are through the Alliance’s B.S. Sessions (for collision repair shops) and Mech XChange events (for auto service shops). 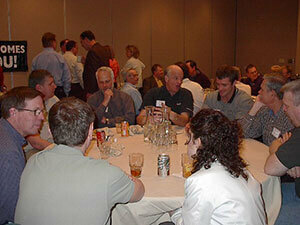 These events are specifically designed for shop owners and managers to get to know each other and share ideas. Members can offer input on local and national issues, events and activities, and learn from others what is on the cutting-edge in their industry. The Annual Meeting & Leadership Conference is another not-to-be-missed opportunity to connect, learn and grow.